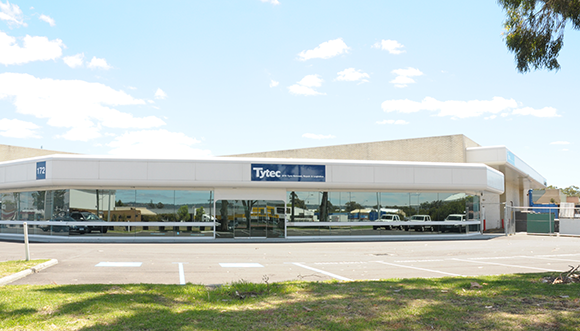 Tytec is Australia's first complete OTR Tyre Retread, Repair and Testing Facility. Tytec have not spared any expense to build and develop the most advanced leading edge technical facility in Australia, or if not the world. Tytec with its many years of experience in the OTR tyre industry have developed its own equipment and also out sourced the world's leading edge equipment available to deliver to our clients the highest cost reductions in all our products and services. Tytec is the ultimate destination for complete OTR Tyre Retreading, Repair and Testing for the largest earth-mover tyres manufactured today from 25" through to 63". 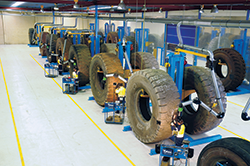 The directors of Tytec have more than 60 years combined experience operating in the tyre industry, taking pride in delivering leading edge results combined with old fashioned personalized service. Tytec's premises located at the heart of the tyre industry on Kewdale Rd, Kewdale are unlike any facility seen in Australia or if not the world. Tytec is a clinically clean facility which leads the industry with world cutting edge equipment which demonstrates our attention to detail. Please call in and view our facility and meet our highly trained, competent and passionate personnel.